India’s Sachin Tendulkar, Australia’s Steve Waugh, Sri Lanka’s Kumara Sangakarra– These are a few of the legends who have been the most significant benchmarks in the timeless halls of Cricket fame. 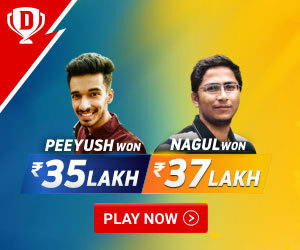 Casual viewers and cricket lovers both have spent large portions of their lives watching these absolute legends battles it out with other behemoths of the fierce battlefield known as Cricket and have considered the spent time, time well spent! Over the years, it has been proven that not all Cricketers, especially batsmen, are able to show the true extent of their limitless ability both at home pitches and abroad ones. There are fast, rapid pitches and there are slow drawn-out pitches, and not all batsmen can handle the specific pressures of each. 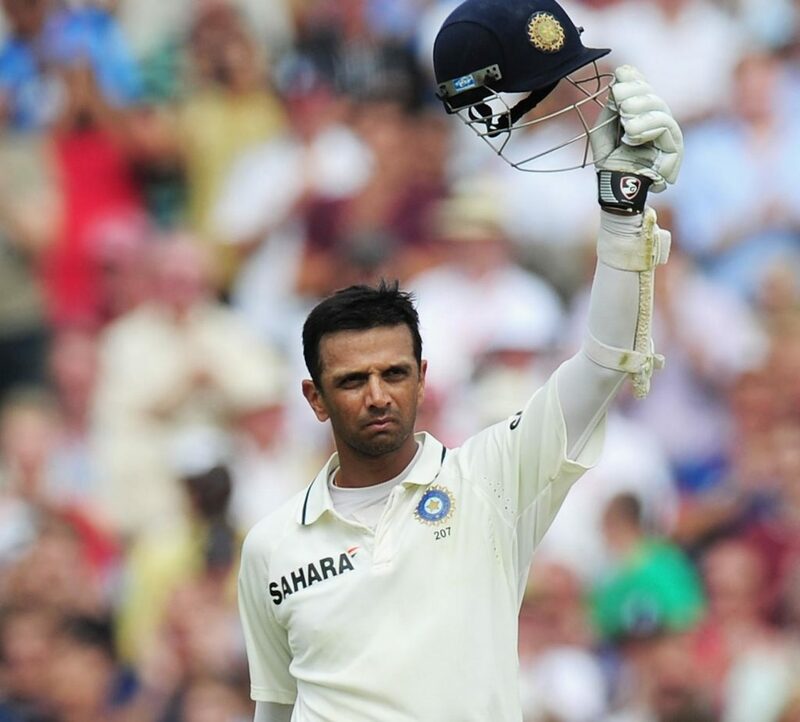 Here enters the admirable man who held the title of one of India’s true heroes for a very long time; he has proved beyond a doubt that no pressure, no challenge is too great for him: the Great, the Admirable Rahul Dravid. Widely regarded as one of the best batsmen in the wide, varied and colorful history of cricket, Rahul Dravid is a former player and immensely respected Captain of the Indian Cricket Team. Rahul Dravid, never a man to shy away from a challenge started his cricket life at the very young and tender age of 12. He went on to achieve fame as he represented Karnataka at the heavily challenging matches, of the consecutive under 15’s, under 17’s and under 19’s, a series of matches where his performance was just outstanding. His batting paved the way to fame as he sped through the matches, his face a mask of perfect concentration. Sweat glistened on his brow as he hit fours and sixes, one after another, and eventually won the series of matches with a truly exceptional performance. He was brought to the attention of the higher-ups of the cricketing world by the former cricketer, and later coach, Keki Tarapore, who saw the immense wealth of raw talent lying in this one boy who scored a full century for his school team: Tarapore instantly recognized this boy as the metaphorical Diamond in the Rough, of the immense lengths you could reach if he was ‘polished’ properly. Dravid made his debut with the prestigious Ranji Trophy in February 1991, while still trying to complete his college education. Dravid was being considered for the Indian National Cricket Team for quite some time with his exceptional performances in the interstate matches. He was the loved boy, the instant fan-favorite. He was selected for the 1996 World Cup team. After the world cup, his Fame skyrocketed with him turning into a big name in the Indian Cricket industry. He made his International debut on 3rd April 1996, in a match against Sri Lanka for the Singer Cup, held in Singapore. He replaced the player Vinod Kambli. He gave lower than average performances in his International matches, being dismissed in the match against Sri Lanka and the next match against Pakistan. After 5 years of interstate playing, Rahul was selected for an Indian squad which was going to be touring England. He gave good performances in these, and got around 50 runs against both Gloucestershire and Leicestershire. His actual test debut was made at the Lords Stadium on 20th June 1996 playing against England in the second test of the whole series due to the injured senior batsman Sanjay Manjrekar. Unable to pass the fitness test given to him on the day of the test and thus Rahul was able to make his first test debut. For his first test match, he gave an outstanding performance. He batted for more than 6 consecutive hours and scored a total of 95 runs before being bowled out. 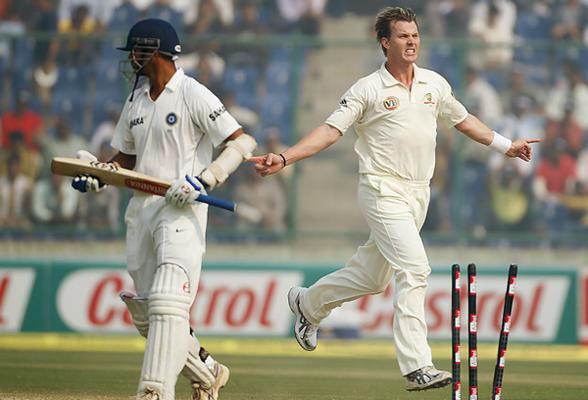 This match was even more faithful to him as he made his first test catch where he went on to dismiss Nasser Hussain. In the next tour game against British universities, Rahul scored a full century. In his third test, he scored another 50 runs. He finished his first debut series with an outstanding average of 62.33 from his first two test matches. After the Test series against Britain in 1996, he played a Test Series against Australia- a continent famed far and wide for its excellent bowlers almost all of whom have a hawk-like aim- in Delhi, his first test match on home ground. This series went nowhere near the exceptional amount of talent he had shown in the first series; it was average, with him playing at no.6 and scoring just 40 runs in the first innings. The Test Series against South Africa, held in Ahmedabad was a calamitous match, with Rahul batting at no.3 for the first time and scoring a pitiful 175 runs at an average of 29.16. Scoring 66 runs against a comparatively huge target run of 395 in the first match of the Test Series, the Indian Team flopped on the Durban field which had unfamiliar playing conditions for them. 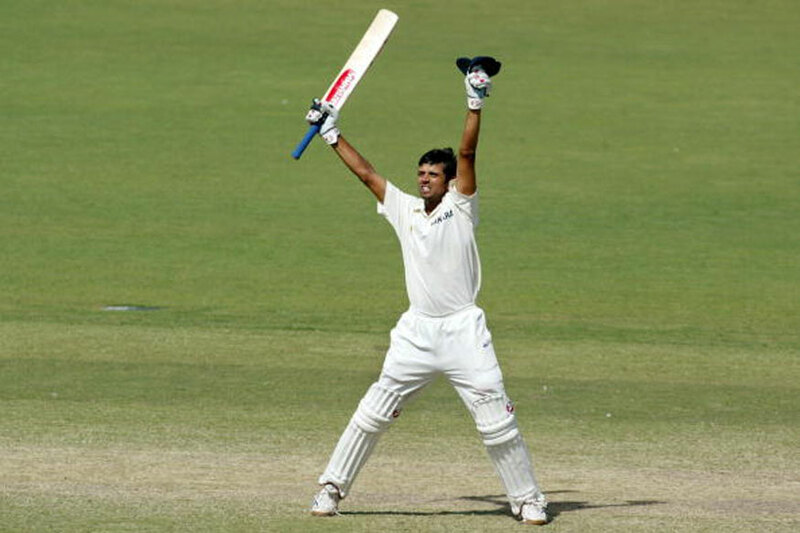 Dravid was the only Indian batsman to have a run score of more than a single digit; he reached 27 runs, not out. He again got a glimpse of fame as he was promoted to the no.3 slot for the second time. He almost sealed the match in the Third Test in favor of the Indians with 148 runs and a score of 81 runs in the second inning. At that time, it took a joint alliance of extremely unfavorable weather, vehemently bad lighting and exquisite bowling for the South African Team to catch up and make it a draw. He was awarded the Man of the Match trophy for this match, as he scored a beautiful 227 runs against an average of 55.40. 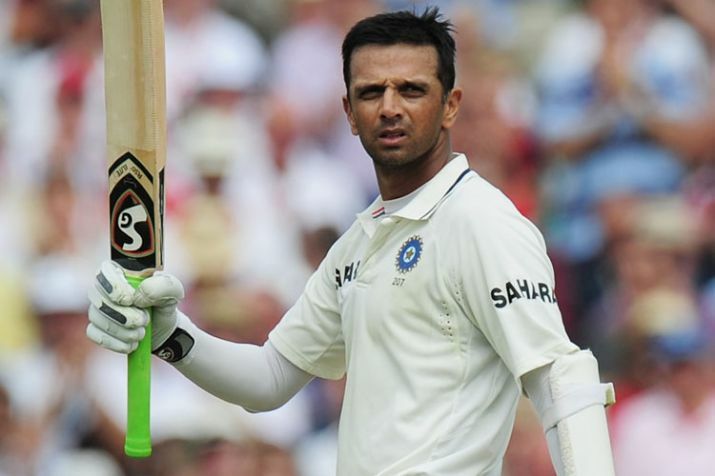 Rahul Dravid continued his shockingly good performances in test Series’, with him taking the battle to the West Indies, that India sadly lost. He scored 360 runs at an average of 72 runs. A majestic 92 runs scored in the first inning of the match at Georgetown earned him a joint Man of the Match award with a fellow cricketer. With the conclusion of this series, he finished his debut Test season, razing international charts as he scored 852 runs from a total of 12 matches against an average of 50.11, including 6 fifties and a single hundred. His performance in the next Season’s Test matches continued to be outstanding, having a marvelous seven fifties in eight Tests. By the end of the season, he had a beautiful 15 fifties in a total of 22 Test matches. 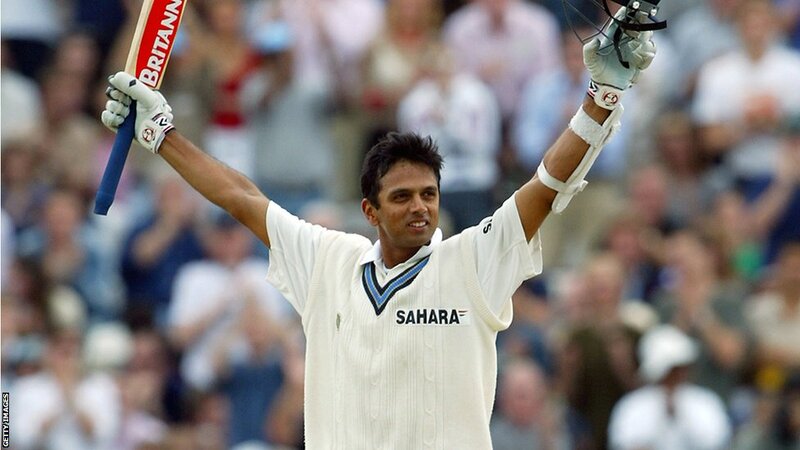 In conclusion, I think we can call Rahul Dravid simply the best batsman to feature in the history of Indian Cricketing. Not only is he the sturdy bulwark which provided India’s team with a solid, unbroken wall; the very hinge around which the sturdy door of Indian Cricketing goes. Meaningless rhetoric aside, he was one of the few who could stand on equal terms with the apex of Indian batsmanship: Sachin Tendulkar. 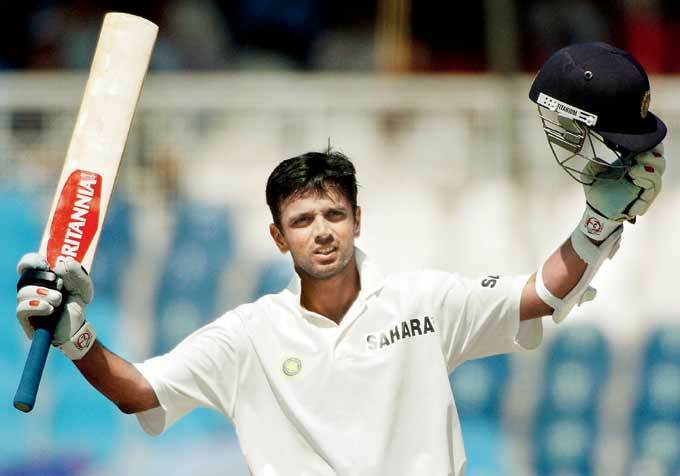 His face, calm and cool in the face of disaster right around the corner, still rocks Cricket fans to this day, as they think of the exhilarating feeling of seeing Dravid hit a perfect four with his bat, a feat that earned him the nickname, the Wall!